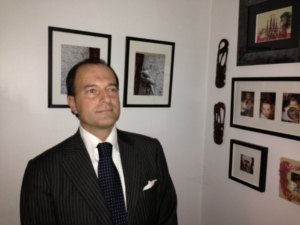 Following his graduation from University of Florence, School of Law in Florence and a Master of Taxation, International Business and Commercial Law from University La Sapienza in Rome, Mr. Agnoloni started his own practice in 1995 and in 1999 he became a certified bar attorney allowed to practice both in Italy (Rome Bar Association) and in the European Union and now in New York (NYSBA) and Connecticut (CBA). Lorenzo Agnoloni began his career working with two tax Judges and in the Italian Avvocatura Distrettuale dello Stato devoted himself to the areas of expertise as civil, tax and administrative proceedings, trials in front of the Italian Court of Accounts and in front of International Courts and Arbitration (European Court of Justice and CEA) on matters of real estate, commercial, civil and insurance law, family and military law. Throughout almost twenty five years, Mr. Agnolonidevoted himself to the following areas of expertise, aven in partnership with his uncle Avv. Marzio Agnoloni in Milan: legal and financial advice for boards, industrial and financial groups related to investments in Italy, Europe (Switzerland, France, Benelux, Eastern Europe) and American countries (USA) and Canada. Lorenzo Agnoloni served as Professor at the I.S.P. Business School (Istituto Sviluppo Professionale) from 2004 to 2007 and has for several years been an active member of A.N.F. (Associazione Nazionale Forense). He is still an Officer tax expert with the rank of Captain.